Sterling silver fleur-de-lis earrings have french wire hooks. 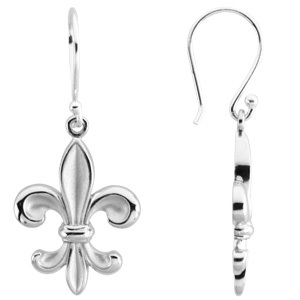 Dimensions of fleur-di-lis earrings: 3/4in x 3/4in [tip to tip, excludes hook]. Weight: 3.42 grams.